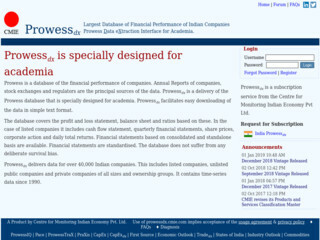 Prowessdx delivers data for over 40,000 Indian companies. This includes listed companies, unlisted public companies and private companies of all sizes and ownership groups. It contains time-series data since 1990. Prowessdx also includes data for 800 Singapore companies. These are companies that are listed on the Singapore Stock Exchange. For these companies, accounting and market data are available for six years and three years, respectively.